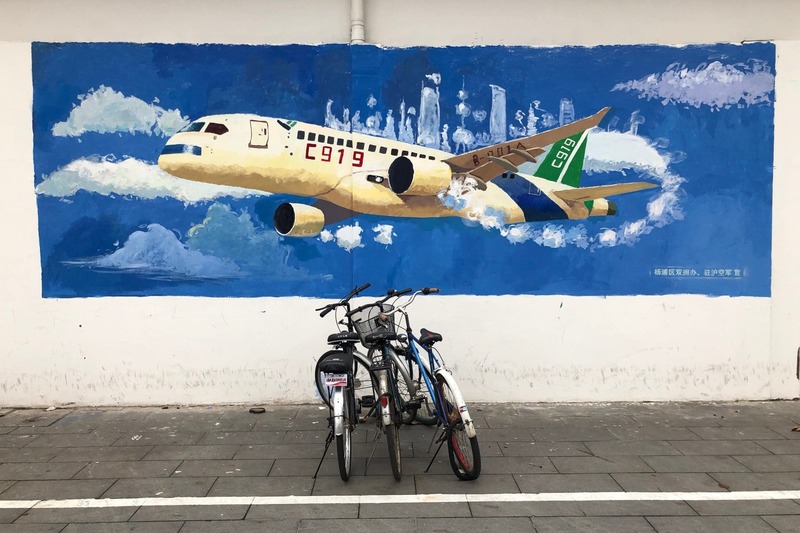 Shenzhen is one of the most modern cities in China, having rapidly developed over the past 30 years since its inception as a special economic zone. Walking around its streets there is little to see in the way of history or culture but scratch beneath the surface and there are a few intriguing glimpses of the past to be found. 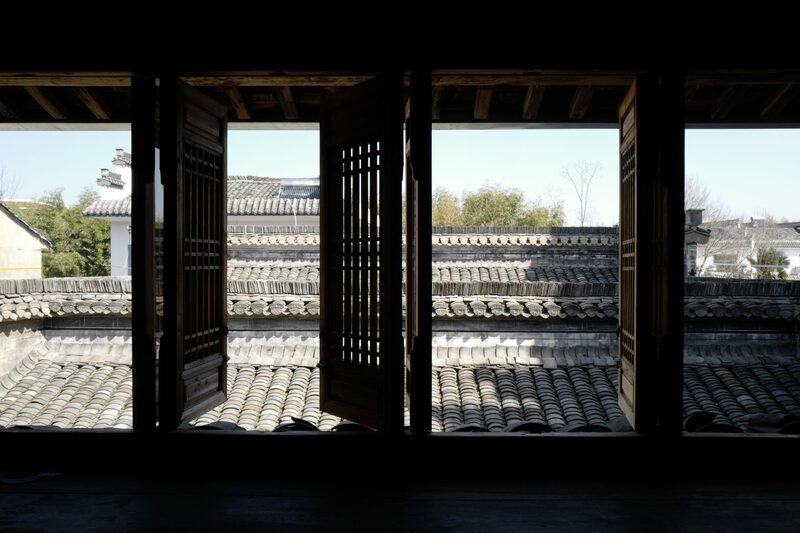 Shortly before leaving Shenzhen last December (2010) I visited the ancient walled town of Nantou (南頭城) which is hidden within the district of Nanshan among the endless sea of high-rise offices and apartments which constitute the modern city. 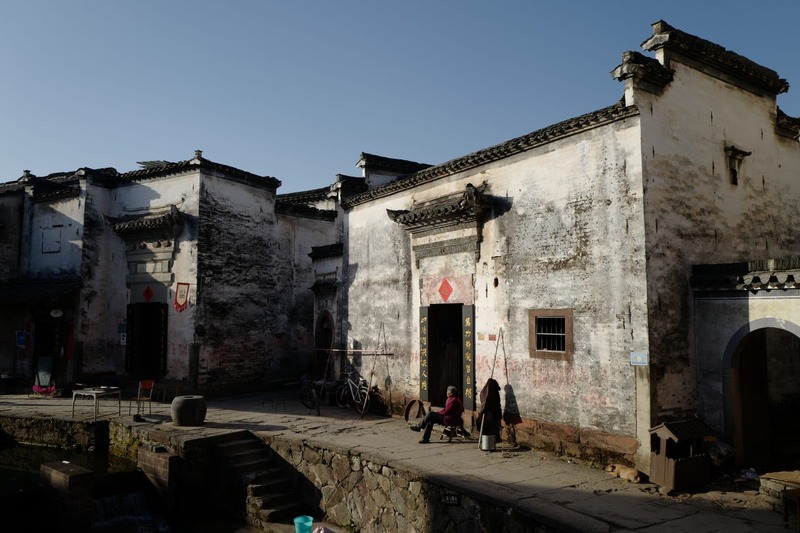 Here a small enclave of old fortifications, temples and ancient houses can be found with a bustling local community clinging onto a little bit of the past which remains. Nantou was founded in 331 as the administrative centre of the Dongguan Prefecture, which stretched from Guangzhou to present-day Hong Kong. In 1394, a defensive wall was built around the town to ward off Japanese pirates, and the town’s South Gate is one of the few remaining sections of that wall. Passing through the gateway is to enter a completely different side of the city which somehow feels far more authentic than the hastily built city that surrounds it. Immediately the sound of traffic is replaced with the frenetic noise of street hawkers selling their wares and people going out their daily business. A narrow street lined with all manner of small shops and restaurants funnels pedestrians up a gently slopping hill which leads to an old stone yamen (a mandarin’s office) where, after China lost the Opium War, government officials gathered to sign the island of Hong Kong away to the British. Despite playing such an important role you get the feeling this is one part of history they’re not keen to commemorate – already parts of the old town are being torn down after plans to turn it into a museum failed (nobody came to visit the buildings which were previously restored). 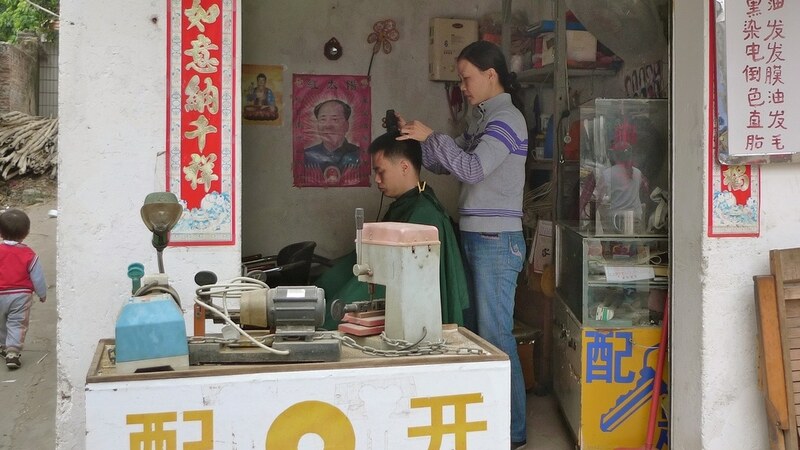 At the back of an old barbers shop Chairman Mao looks on with his unwavering expression of pride but one hopes the lessons of the past are not being forgotten in the rush to embrace the future. Sometimes the most important things in life are staring you right in the face. More than 30,000 people are packed into half a square kilometre here. 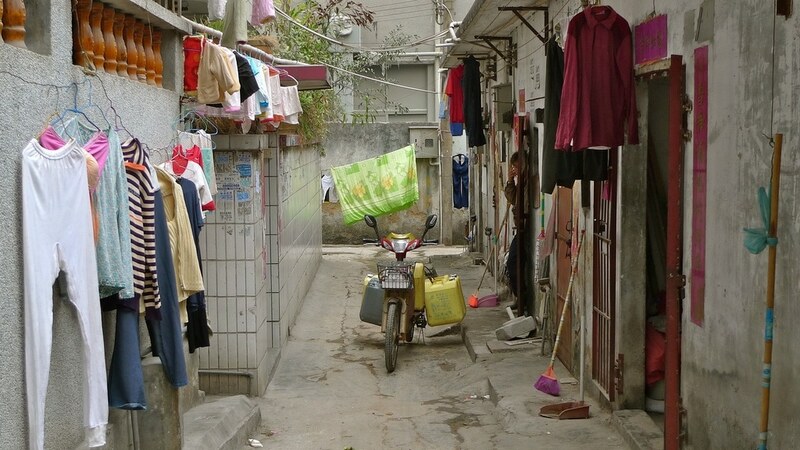 Most of the residents are migrants who live in apartment buildings built by the indigenous Cantonese villagers, many of whom became extraordinarily rich after the birth of Shenzhen, and have moved to Hong Kong or overseas. 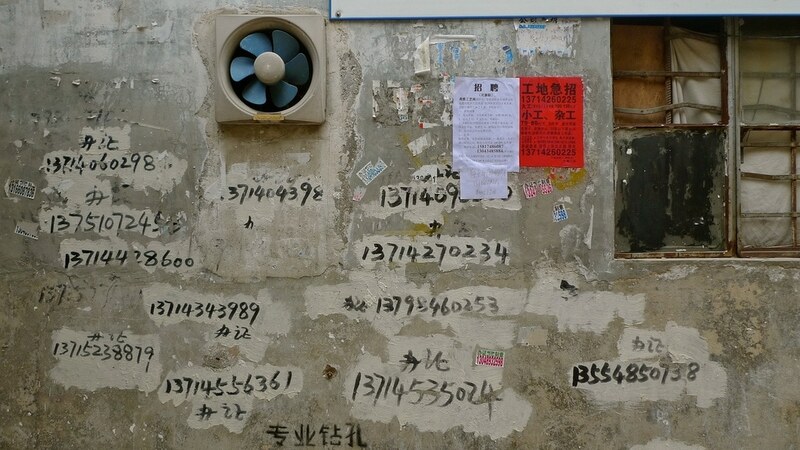 Signs on the walls advertise various nefarious services (covered in a previous post). Although much of the area is built from gray stone and concrete there are still blotches of colour to be found. 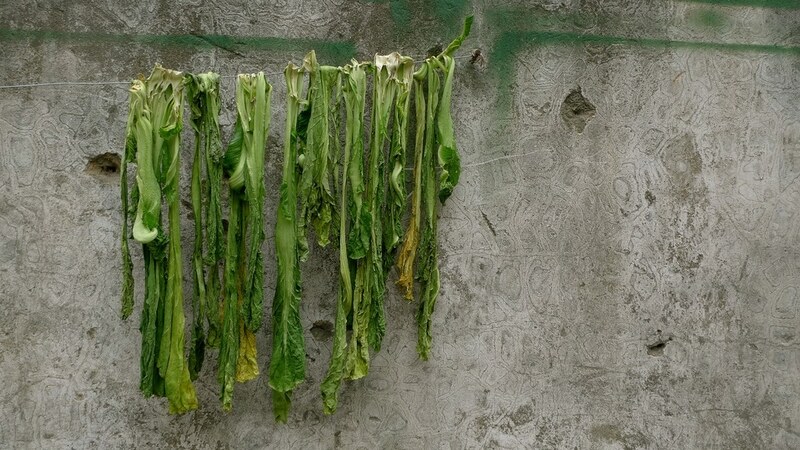 Some vegetables are still preserved by air drying but these look like they’re well past their best. Hopefully they’re just to feed someones rabbit and not for human consumption! I can’t help but wonder what the local people make of all the wealth and mass consumption that is prevalent in the rest of Shenzhen, but of which little seems to have reached here. Yet another of China’s many dichotomies. 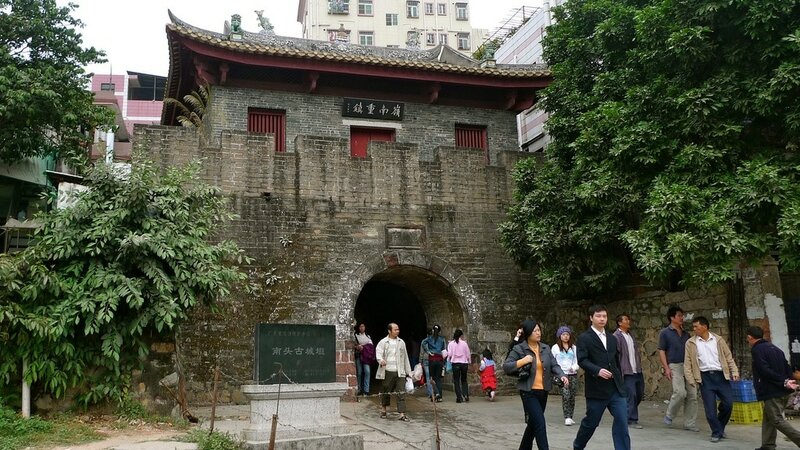 Nantou’s South Gate is located near the corner of Shennan Avenue and Nanxin Road – CNNGo has a great article will more photos and full directions for how to get there. One my favourite places. 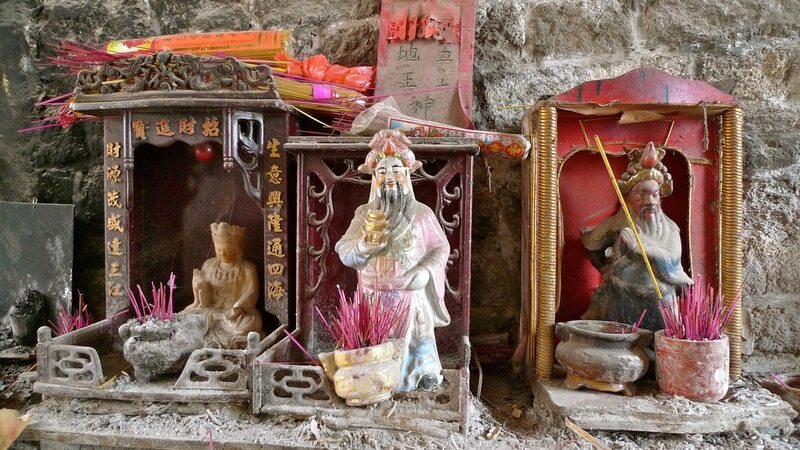 I like to start at the temple, wander the village area then head into Zhongshan Park. Can be a nice afternoon. Great shoots, you captured the area well. Thanks Steve – the crazy thing is I only found out about the interesting history after I got back. If I ever go again I’d like to get more pics of some of the historic buildings. 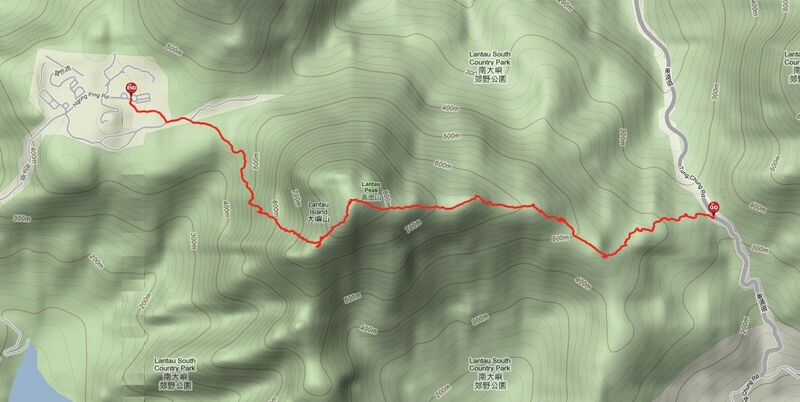 I was walking the same route just last week with my friend Lin Rui, who used to live nearby until 2 years ago. As usual photos do not show the general filth and dirt of some of these street scenes…a special “Chinese” blindness to rubbish. 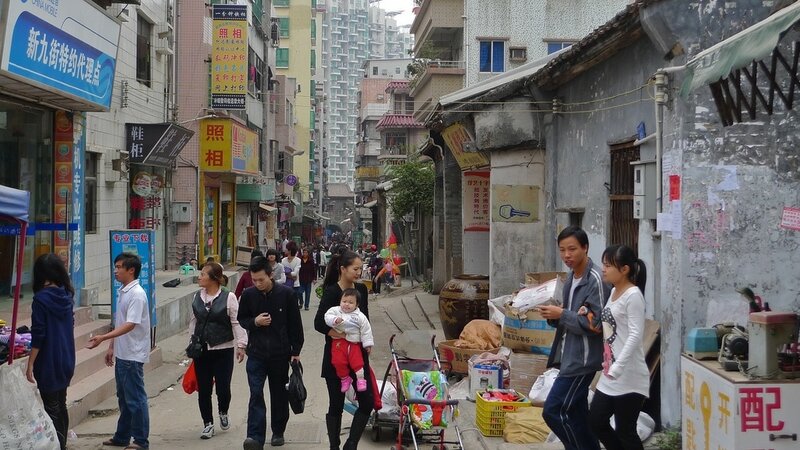 That said….these neighbourhoods are so much more interesting that a lot of “modern” Shenzhen’s urban canyons. Life, business, food, eating etc. 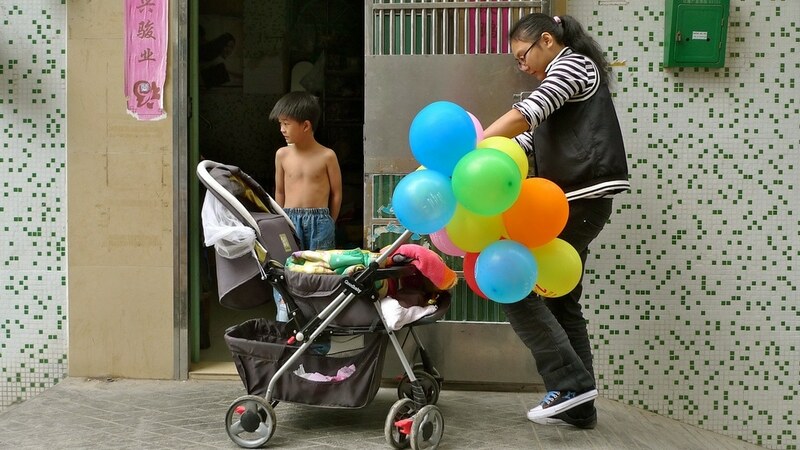 is open to the gentle stroller. 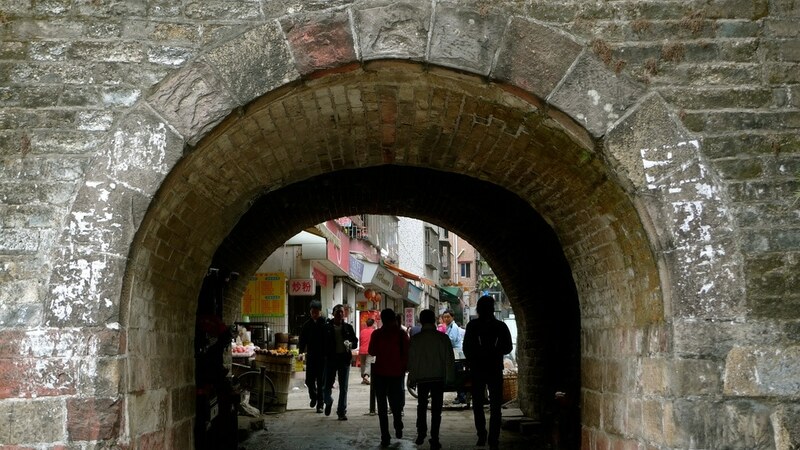 By the way… if you exit through the South Gate, cross Shennan Avenue by the footbridge and walk south on Qianhai Road….the block bounded by this road, Xufu Rd,Taoyuan Rd and Naxin Rd, contains more old alleyways, village temples and some interesting single story architecture. Similarly the block south of this also has an interesting village archway, temple and markets. Today, I’m a world away, in not sunny Sussex, England. 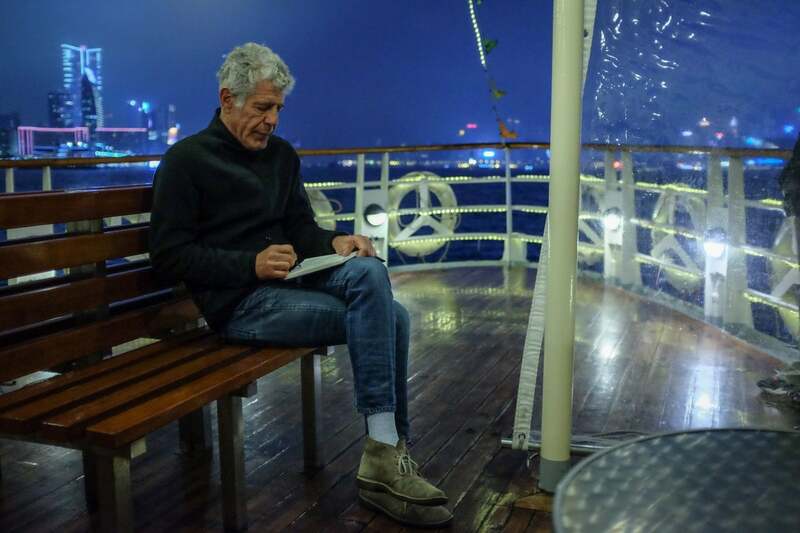 All the best to you in Hong Kong. 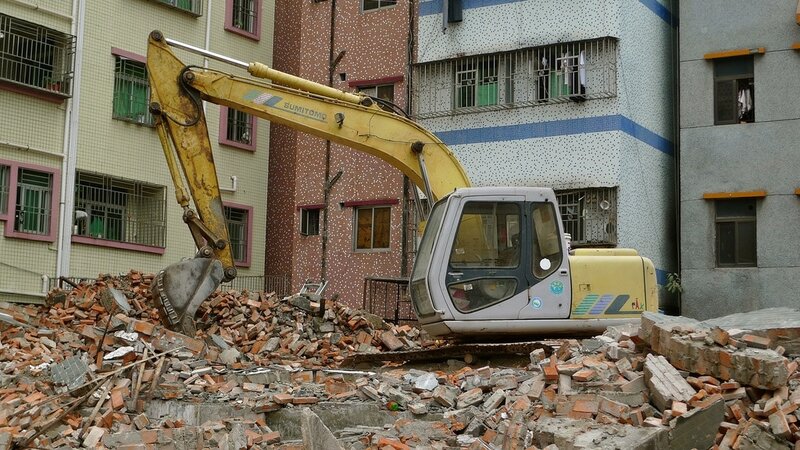 It’s a pity that they destroy historic buildings as if it’s nothing. 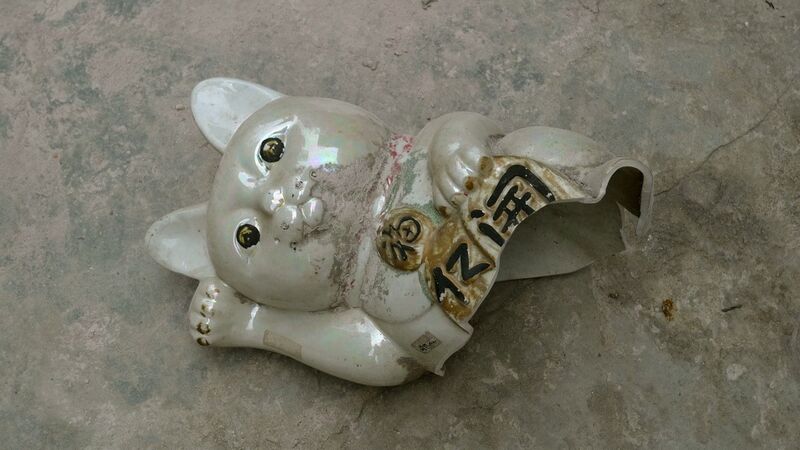 I’m not an expert on China, but I feel a country that doesn’t respect it’s history will have problems in the future. – This is the part of Asia I don’t get to see. Usually it’s pictures of food, food and more food. Never ldapscnae, history or local life. Thanks Cindy. Very nice post! 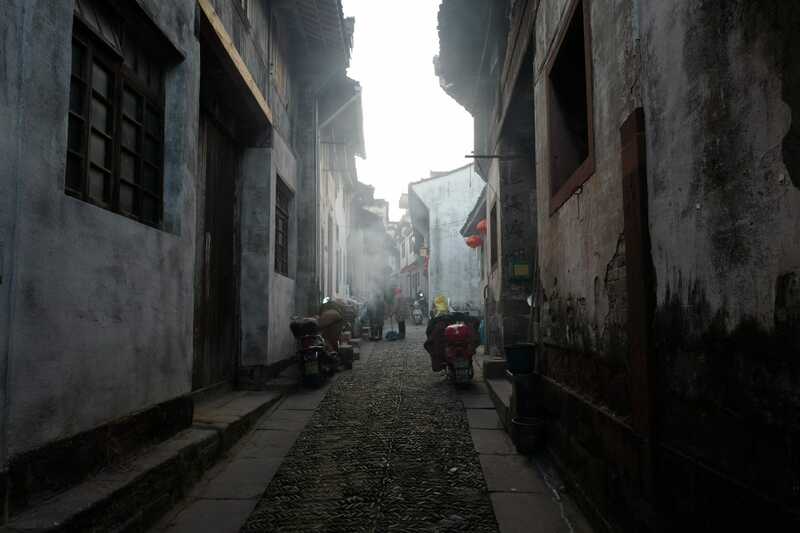 Many years ago, I used to work at Nantou Middle School, and would saunter through the old town almost every day. I just came back to SZ a few months ago, and stumbling onto your blog has reminded me that I should go check out the old hood. May I ask where you got all the info? You know more about the history of the area than I ever knew. Hi Patrick – thanks for your comment! 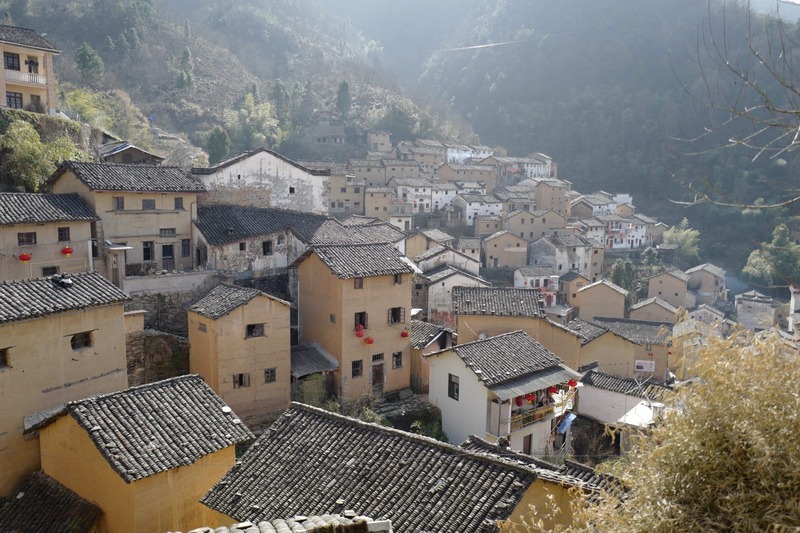 Most of the info I found by doing some research online – I liked a couple of sources in the post above – but also through speaking to some of my Chinese friends living around there. Going this December (2018). Is this still a good look at “bit of local community” or has it already been modernized? 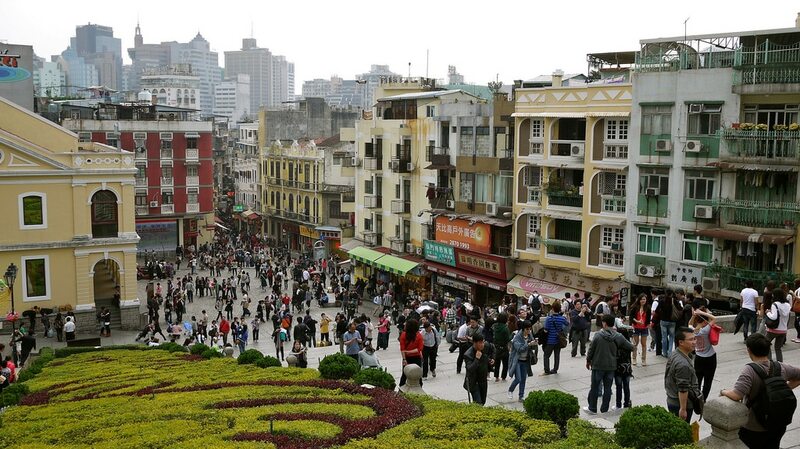 The surviving “old town” neighborhoods in Shanghai are my favorites so I’m looking for something similar in Shenzhen – any walking tours to refer?